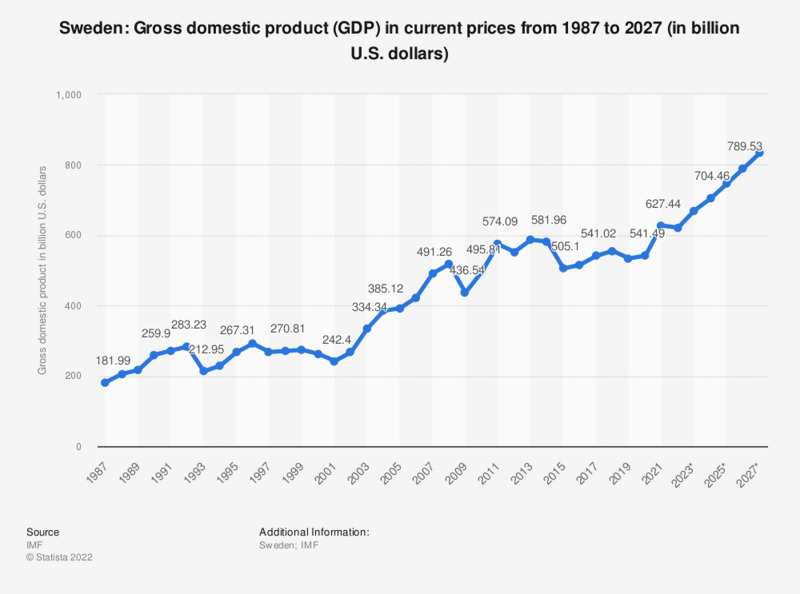 The statistic shows the gross domestic product (GDP) in Sweden from 2012 to 2017, with projections up until 2022. Gross domestic product (GDP) denotes the aggregate value of all services and goods produced within a country in any given year. GDP is an important indicator of a country's economic power. In 2017, Sweden's gross domestic product had amounted to around 535.62 billion U.S. dollars. To what extent do the economy influence the content of Swedish radio and TV? In general, do you think that Sweden is moving in the right or wrong direction? How important are the following holidays for your retail business? Are you planning to make purchases on Black Friday?